Should there be more prisons than Libraries in our Community? Lack of knowledge is total imprisonment. 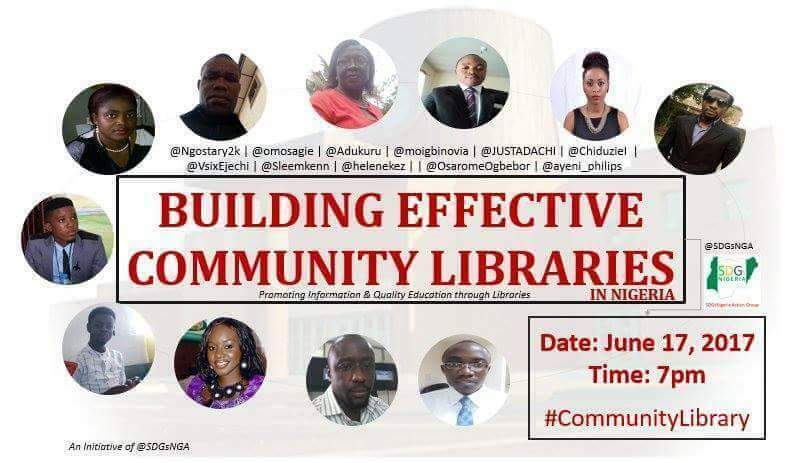 Join me(@helenekez) and fellow prominent Librarians on this Discourse (On Twitter) as we Speak on “Building #CommunityLibrary in Nigeria on 17th June, 2017 @7pm. Please if you don’t have a Twitter account yet, create one and use the hashtag: #CommunityLibrary in your Tweets (questions, comments, etc). Did You Know that African Mobile Apps are solving African Problems?